HEALTH– NYC Health + Hospitals officially marked the opening of the public health system’s first ExpressCare Clinic in the Bronx, at NYC Health + Hospitals/Lincoln. Providing faster access to medical care for patients who face non-life-threatening conditions, the new clinic will be open at the busiest hours seven days a week and will ease overcrowding in the hospital’s emergency room. It will also reduce health care costs by giving patients a faster and more appropriate alternative to expensive and often avoidable emergency room visits. The ExpressCare Clinic at NYC Health + Hospitals/Lincoln is among the latest changes in the public health system’s vision to transform care for New Yorkers. The clinic offers walk-in services for non-emergent conditions—like colds, flu, sprains, skin rashes, minor cuts and lacerations, and certain types of infections. Shifting patients with non-life-threatening conditions into the ExpressCare clinic will shorten their wait times. The clinic will also differ from stand-alone urgent care centers by offering a better connection to primary care providers. The emergency-trained physicians at the ExpressCare clinic will help ensure patients receive the appropriate follow-up care by connecting them with primary care doctors in the Health + Hospitals system. Located on the first floor of the hospital in room 1C2A, the ExpressCare Clinic will be open year-round, 7 days a week, from 8 a.m. to 8 p.m. weekdays and from 10 a.m. to 4 p.m. weekends and holidays. These are among the busiest times for the hospital’s emergency department and offer a new option when patients may not be able to access a primary care provider. The clinic is designed for adult patients. Children and teens will continue to receive care in primary care, when appropriate, or the pediatric emergency room, which typically has short wait times. Patients visiting ExpressCare who are assessed as having serious medical conditions that cannot be treated in an urgent care setting or who may require hospital admission will be fast-tracked to the Emergency Department for further treatment. 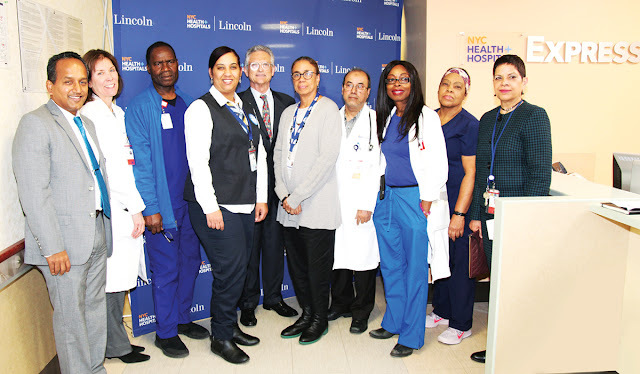 The ExpressCare Clinic at NYC Health + Hospitals/Lincoln began treating patients under a soft launch starting in August, and patient volume has quickly grown, even before today’s official opening. From August 15 to 31, the clinic saw 121 patients, followed by 359 in September and 638 in October. There were 202 patients treated from November 1 to 8. 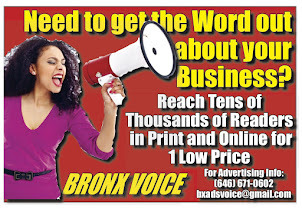 “For many of our residents, accessible health care means going to the emergency room for non-life-threatening medical attention, forcing residents to not only pay a high cost for health services but also further taxing our emergency care resources,” said Bronx Borough President Ruben Diaz Jr.
ExpressCare visits will be covered by most health insurance plans. 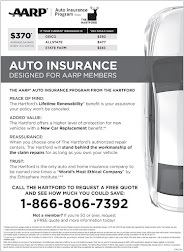 Patients with insurance should bring photo identification and an insurance card to the clinic. 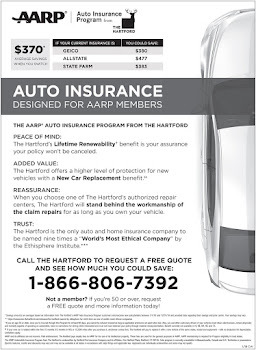 Patients who are uninsured but eligible for insurance will be able to enroll. NYC Health + Hospitals plans to expand the ExpressCare model to other public health system facilities in the coming months. 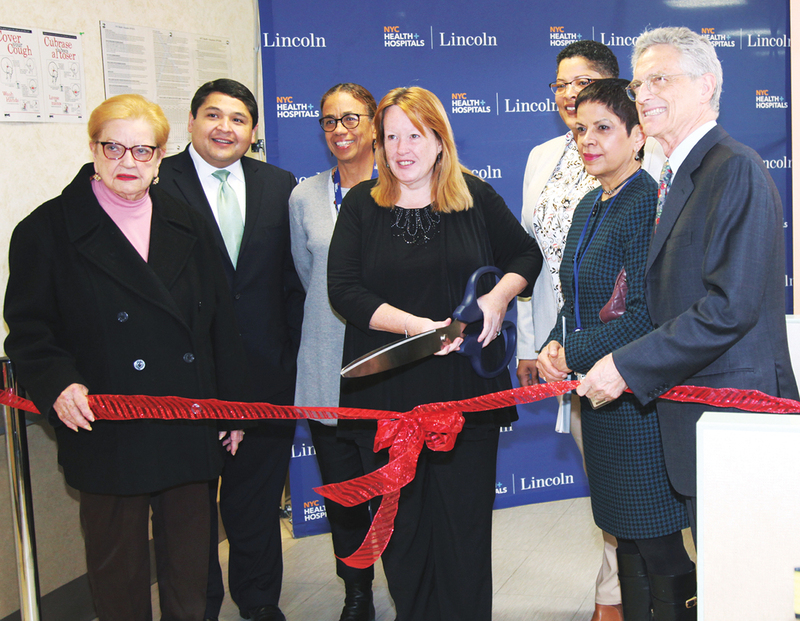 In addition to the ExpressCare clinic at NYC Health + Hospitals/Lincoln, one at NYC Health + Hospitals/Elmhurst officially opened in October, and another is slated to open at NYC Health + Hospitals/Jacobi in March 2019. To get more information on ExpressCare or or to make an appointment with a primary care physician or other specialists at NYC Health + Hospitals, please call 1-844-NYC-4NYC (1-844-692-4692). HEALTH- The holidays are a time of happiness and celebration for many of us. Families get together to exchange season’s greetings and ring in the New Year with generations of friends and family coming from far and wide. For most, it’s a festive time. But, especially for older members of our community who don’t get out as much as they once did, or who may have recently lost a loved one, things may not feel cheery at all. 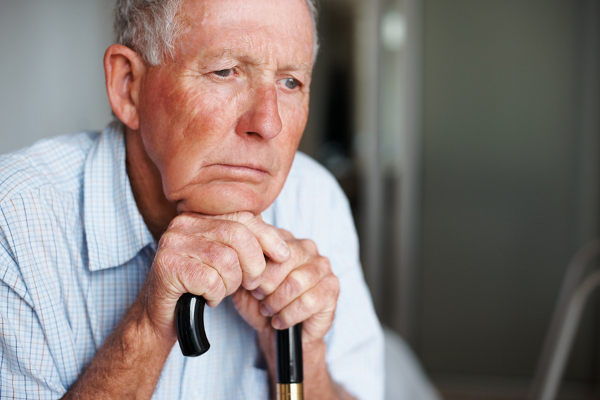 As a health professional who works to help New Yorkers live safely and independently in their own homes as they age, I’ve seen firsthand how loneliness can trigger the Holiday Blues. In my role as a registered nurse and care coordinator for VNSNY CHOICE Health Plans, my roster often includes older patients with limited mobility and multiple chronic health conditions that keep them indoors when others are out shopping, celebrating and visiting with family. Holiday rituals can be especially daunting for someone who finds herself alone after celebrating the holidays for decades with a beloved spouse who has recently died. It’s important to honor the past, but also to be open to new possibilities, and to take things one step at a time. Everyone handles loss differently, and if you know a neighbor or have a loved one who is alone at the holidays this year—a phone call to say hello could bring welcome, and unexpected joy. Here are a few guidelines that we hope will help increase awareness of potential triggers for the holiday blues and offer simple strategies for inspiring good cheer—in yourself, or someone you love! Loneliness is more prevalent this time of year. Take your mind off your own troubles by helping others in need. If you can manage to squeeze it in, spend a few hours volunteering at a local soup kitchen, or donate a collection of canned goods or second-hand clothes or toys to a favorite charity. Even visiting residents at a nursing home or children’s hospital, or calling someone you know who is struggling can make a big difference in your outlook—and theirs. Develop an “Attitude of Gratitude” for the things that truly matter. Your gift of spending time with those who are shut in or hospitalized this holiday can be the best medicine for both you and the receiver. There is nothing as enticing as a colorful row of holiday cookies and treats, but all that sugar and carbohydrates can zap your energy and then your spirits—especially if combined with too much alcohol. We suggest sticking to healthy eating patterns during the holidays, emphasizing lean meats, leafy vegetables, whole grains and fruit. Avoid driving after indulging and be aware of any medications that may be contraindicated with alcohol. This is the season of tradition – whether it’s attending services, watching holiday classics, or spending time with family and loved ones. Homebound seniors may not be able to attend church or synagogue. A great way to combat this is to do your best to take advantage of technology; many services and holiday classics are now on TV or the internet. Select a few shows or movies and write down the times and channels to remind those that may have memory loss. If family lives far away, help shorten the distance by setting up Skype or other Internet tools so that your loved one can see and connect with relatives and grandchildren face to face. If what you are experiencing is more than a transient case of the blues and is associated with a persistent feeling of sadness over a long period of time as well as loss of interest in things that previously brought you joy, notify your primary care physician as soon as possible. 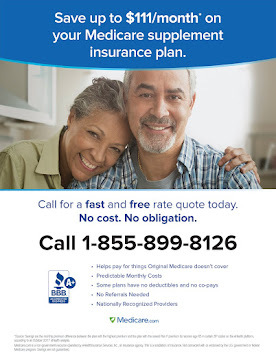 To learn more about health plans that help elder New Yorkers live more comfortably, safely and independently in their own homes, visit www.VNSNYCHOICE.org or call 1-855-AT CHOICE (1-855-282-4642). HEALTH- There were nearly 80,000 deaths and 960,000 hospitalizations due to influenza in the United States last year, making it one of the worst influenza seasons in years. The best protection is yearly influenza vaccination, but too few people receive this important vaccine. According to the Centers for Disease Control and Prevention (CDC), only 37% of adults and 58% of children ages 6 months and older were vaccinated last year. Influenza, the “flu,”is a contagious respiratory infection caused by a virus. It spreads easily through droplets from flu infected people when they cough, sneeze, or talk, and can spread to others up to 6 feet away. These droplets can directly infect you by landing in your mouth or nose or if you touch a surface that has flu virus on it and then touch your mouth or nose. The flu virus can live 24 hours or longer on certain surfaces. While strategies such as hand-washing and avoiding people who are sick are important, they are not enough to prevent infection with the flu. Certain people are more vulnerable to becoming infected and developing serious complications from the infection. This includes people 65 years and older, people with chronic medical diseases (such as asthma and diabetes, among others), pregnant women, and children younger than 5 years. However, even healthy people can get the flu and develop these serious complications. The vaccine not only protects you but others around you as well, which is important for those who cannot receive the vaccine. Studies have shown that pregnant women should receive the vaccine not only to protect themselves but also because it protects their babies for several months after birth. Those who cannot be vaccinated are those who are younger than six months, have medical contraindications, such as an impaired immune system, or those with severe, life-threatening allergies to flu vaccine or any ingredient in the vaccine (such as gelatin). Those who have an egg allergy can still get the vaccine. Even if the egg allergy is severe, it can still be given in a supervised medical setting with a health care professional who can recognize and treat severe allergic reactions. The vaccine does not cause the flu. The vaccines either contain inactivated virus which are not infectious or a particle that looks like the virus. The nasal spray flu vaccine is the only vaccine type that has the live virus, but the virus is weakened. Any of the vaccines may cause mild flu-like symptoms, but these do not compare to the symptoms and consequences of the actual flu virus infection. For those who do get the flu soon after receiving the vaccine, it is likely because the vaccine was not yet effective. It takes 10 to 14 days for the body to develop the antibodies that fight the flu virus. The vaccine does not work. The vaccine effectiveness varies from year to year. The flu viruses mutate frequently. Health officials design the flu vaccine early each year based on predictions on which strains will be common in the coming season. Sometimes their predictions do not match well or the flu virus strains mutate further. However, the flu vaccine is still a powerful tool in preventing infection and reducing the severity of illness in those who get the flu infection. In a CDC study of the 2016-2017 influenza season, the flu vaccine prevented an estimated 5.3 million illnesses, 2.6 million visits and 85,000 hospitalizations. The vaccine is not safe. Severe allergic reactions are very rare. Guillain-Barré syndrome, a rare disorder where nerve cells are damaged by the body’s immune system, is more common after flu infection than flu vaccination. 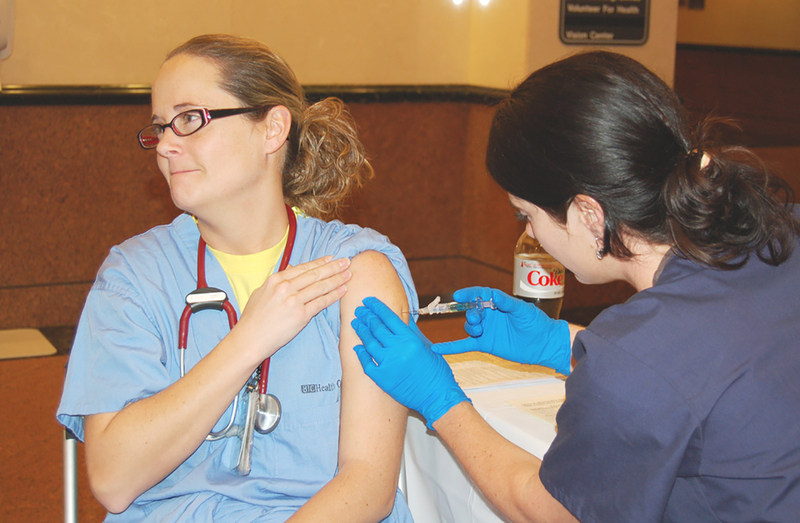 It is not too late to get the flu vaccine. While the earlier you get vaccinated, the better protection you will have. There are different types of vaccines available depending on your age and medical conditions and should be discussed with a health care provider. HEALTH- The 2018 WellCare Community Heroes awards are based on nominations received from Brooklyn, Bronx, Manhattan, and Queens. 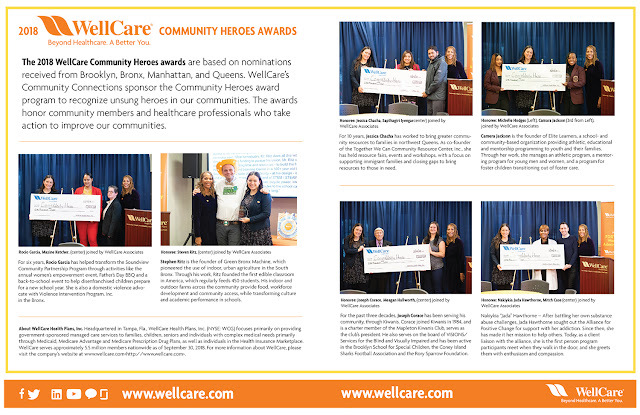 WellCare’s Community Connections sponsor the Community Heroes award program to recognize unsung heroes in our communities. The awards honor community members and healthcare professionals who take action to improve our communities. annual women’s empowerment event, Father’s Day BBQ and a back-to-school event to help disenfranchised children prepare for a new school year. She is also a domestic violence advocate with Violence Intervention Program, Inc. in the Bronx. Bronx. Through his work, Ritz founded the first edible classroom in America, which regularly feeds 450 students. His indoor and outdoor farms across the community provide food, workforce development and community access, while transforming culture and academic performance in schools. 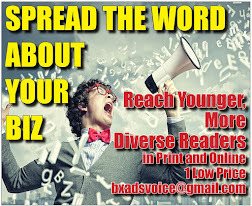 resources to those in need. and mentorship programming to youth and their families. Through her work, she manages an athletic program, a mentoring program for young men and women, and a program for foster children transitioning out of foster care. For the past three decades, Joseph Corace has been serving his community, through Kiwanis. Corace joined Kiwanis in 1984, and is a charter member of the Mapleton Kiwanis Club, serves as the club’s president. He also serves on the board of VISIONS/Services for the Blind and Visually Impaired and has been active in the Brooklyn School for Special Children, the Coney Island Sharks Football Association and the Rory Sparrow Foundation. participants meet when they walk in the door, and she greets them with enthusiasm and compassion. About WellCare Health Plans, Inc. Headquartered in Tampa, Fla., WellCare Health Plans, Inc. (NYSE: WCG) focuses primarily on providing government-sponsored managed care services to families, children, seniors and individuals with complex medical needs primarily through Medicaid, Medicare Advantage and Medicare Prescription Drug Plans, as well as individuals in the Health Insurance Marketplace. 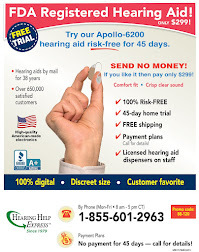 visit the company's website at www.wellcare.com<http://www.wellcare.com>. HEALTH- Every year flu tears across the country, hitting the Bronx particularly hard. In fact, last year, we saw the worst flu season in decades. This year, Montefiore and the Bronx Borough President Ruben Diaz Jr. are conducting a survey to learn how our community makes decisions about getting the flu vaccine. Your feedback will help us create social media posts that directly respond to your point of view. We look forward to hearing from you and wish you a happy, HEALTHY, holiday season! 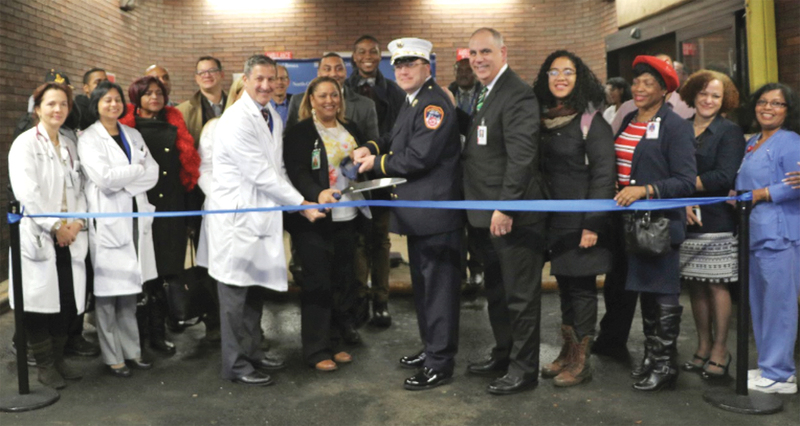 HEALTH- NYC Health + Hospitals/North Central Bronx celebrated the opening of two newly designated ambulance bays. Directly adjacent to the emergency room, the additional bays were created to ensure dedicated parking spaces for ambulances dispatched to NYC Health + Hospitals/North Central Bronx. Hospital administrative and clinical leaders were joined by representatives from the New York City Fire Department Bureau of Emergency Medical Services, which controls the operation of all ambulances in the New York City 911 system, and elected officials in cutting the ribbon on the two new bays, which, combined with the existing two bays, doubles ambulance capacity. When ambulances bring patients to the hospital, the duties of their emergency medical technicians (EMTs) take time. The EMTs come into the emergency department to provide a report on the patient to the clinical staff and to answer any related questions. They also often need to hose down stretchers and clean out the ambulance to prepare it for the next patient. Typically, an ambulance may occupy a bay for 15 to 30 minutes. In the past, when the hospital’s two ambulance bays were occupied, EMTs would need to take their patients to another hospital where the ambulances could park. The added capacity will allow more patients to get emergency care at NYC Health + Hospitals/North Central Bronx. HEALTH- NYC Health + Hospitals honored six nurse professionals from across the public health care system, as part of its annual Nursing Excellence Awards celebration. The awardees are nurse trailblazers who demonstrate leadership in various capacities. “While our nurses work in various specialties and provide care in a wide range of settings, they share a common characteristic: a deep commitment to the New Yorkers who seek our care,” said Mitchell Katz, MD, president and chief executive officer of NYC Health + Hospitals. One hundred fifty-nine nurses from across the health system were nominated by their colleagues in honor of their valued achievements and commitment to providing the best possible care and experience for our patients. The nurses honored today are among the 8,000 nurses at NYC Health + Hospitals—women and men who provide care around the clock each day for New York City through our hospitals, post-acute care centers, community health centers and neighborhood clinics, home care, and the correctional health system, throughout the five boroughs. “When my patient makes good progress and improves, and realizes self-improvement, I am most proud,” said Tsae Jiang Su, RNC, who is recognized for being a bundle of energy, passion, and expertise. 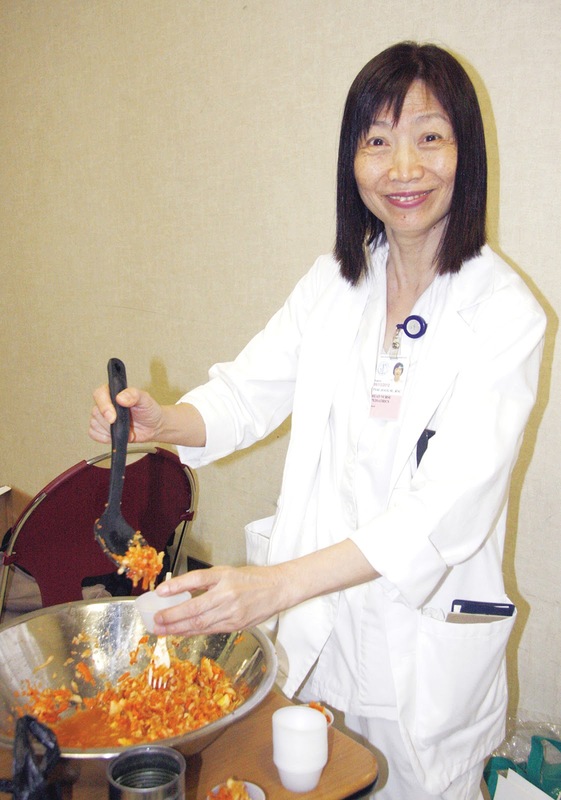 At NYC Health + Hospitals/Lincoln since 1993, Ms. Su provides care to around 20 patients each day, providing critically important diabetes management and lifestyle changes to every individual she sees. In the South Bronx, diabetes affects a disproportionate share of the community. 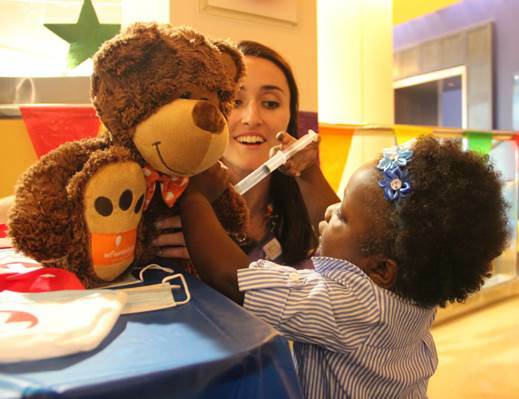 Ms. Su’s diabetes patients are always energized and as excited as she is to see them. Due to her dedication and creativity, patients learn to manage diabetes through interactive projects, guest speakers, neighborhood and celebrity chefs, the Lincoln Greenmarket’s weekly visits, and healthy cooking events. Her ready smile, easy laughter, and obvious love of her patients pull them close to her. As a Nurse Supervisor, Ms. Su partners with endocrinologists and the hospitalist to adjust insulin and oral medication regimens for patients. She also works collaboratively with a multidisciplinary diabetes team to perform a thorough assessment of each patient and establish an education plan to assist in the management of their disease. Ms. Su earned her Bachelor of Nursing from Taiwan Nursing College. The 2018 Nursing Excellence Awards program is available in its entirety at https://www.nychealthandhospitals.org/nursing-excellence. HEALTH- The Commission on Cancer, a quality program of the American College of Surgeons, has granted three-year accreditation With commendation to the cancer program at NYC Health + Hospitals/Jacobi. To earn voluntary Commission on Cancer accreditation, a cancer program must meet or exceed its quality care standards, be evaluated every three years through a survey process, and maintain levels of excellence in the delivery of comprehensive patient-centered care. Three-year accreditation with silver-level commendation is awarded only to a facility that exceeds standard requirements at the time of its triennial survey. As a Commission on Cancer-accredited cancer center, NYC Health + Hospitals/Jacobi takes a multidisciplinary approach to treating cancer as a complex group of diseases that requires consultation among surgeons, medical and radiation oncologists, diagnostic radiologists, pathologists, and other cancer specialists. This multidisciplinary partnership results in improved patient care. Oncology Nursing Care – More than 25 percent of the nursing staff is certified in cancer care. 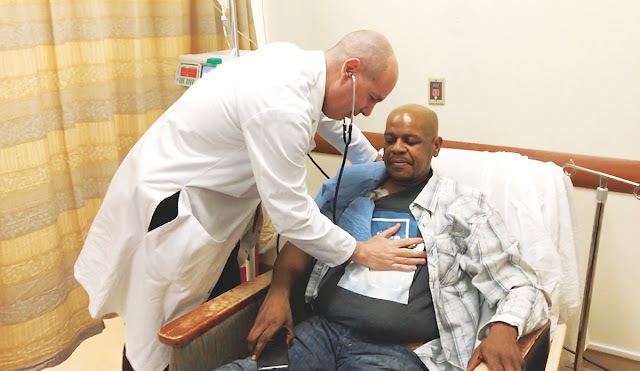 Patient Enrollment in Clinical Trials – The cancer programs at NYC Health + Hospitals/Jacobi enroll 10 percent or more cancer patients in clinical trials. Because patient access to the kinds of cutting-edge treatment available through clinical trials can benefit both current and future cancer patients, a screening process has been developed to track effectiveness. Public Reporting of Outcomes – The Community Advisory Board of NYC Health + Hospitals/Jacobi reports on participation in screening and prevention activities. “Our entire team worked very hard to achieve this important designation,” said Tarek Elrafei, MD, chair of NYC Health + Hospitals/Jacobi’s Oncology Department. The Commission on Cancer Accreditation Program provides the framework for facilities to improve quality of care through various programs that focus on the full spectrum of cancer treatment and encompass prevention, early diagnosis, cancer staging, optimal treatment, rehabilitation, life-long follow-up, and end-of-life care. When patients receive care at a Commission on Cancer facility, such as NYC Health + Hospitals/Jacobi, they also have access to information on clinical trials and new treatments, genetic counseling, and patient-centered services, including psycho-social support, a patient navigation process, and a survivorship care plan that seeks to improve cancer survivors’ quality of life. The hospital’s Breast Health Service performs more than 12,000 mammograms each year and provides treatment and care for more than 1,600 patients annually. If you or someone you know has been diagnosed with cancer and is looking for extraordinary care, please call 718-918-4318.